One is at a loss for words to describe the beauty of Fethiye. If you are incurably addicted to exploring new horizons and are a lover of nature, this is the destination for you… What is it that makes these shores so delightfully indented with innumerable coves and the unbelievable beauty of nature. What makes it so alluring? Perhaps it is a bit of everything, who knows? To wander through the bays of Fethiye is an adventure, an exuberance, a spring of joy. While passing from one to another, the grandeur that spreads out before your eyes is enhanced by the silhouettes of tiny islands, which lead you astray. 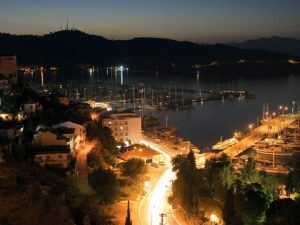 Fethiye is located in South—West Mediterranean Turkey, connected to all other cities by three highways and reached very easily. Dalaman International Airport is as close as 50 km. to the town centre. During the tourist season one can find many flights from major European cities to Fethiye besides the domestic flights throughout the year by Turkish Airlines. 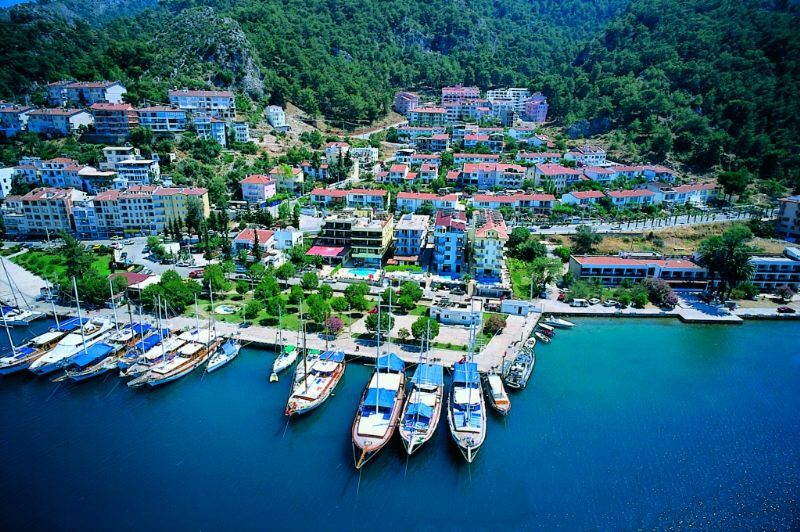 Additionally Antalya Airport, three –hour drive to Fethiye, is another departure point. The whole region excluding Fethiye and Eşen lowlands is covered with high mountains forming the south western spurs of the Taurus Range. These mountains exceeding 2000 meters extend the coastline. On a sunny winter day it is a real pleasure to view the pines and snow decorated peaks intertwined with the blue sky. Besides the refreshing woody slopes with thyme, sage, laurel and pine trees the exceptional incense forest is another peculiarity of the Fethiye region. Covering a 100-hectare area the incense forest is an ideal campsite and a picnic area. Balsam obtained from incense trees has pharmaceutical and cosmetic value and it is also used as a fumigate in mosques and churches. In Fethiye, with its abundance and fertile land, agriculture is of major prominence. 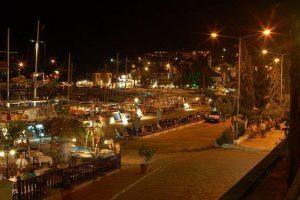 Therefore whilst in other holiday resorts it becomes quiet at end of the season, life in Fethiye flows on throughout the 12 months. Such farming for vegetables and industrial plants as cotton, sesame, tobacco, and aniseed are the major agricultural income sources. Yearly about 250.000 tons of tomatoes are produced and exported. In bee-keeping and honey production, the potential is on a large scale. Furthermore, there is large supply of Chromium ore and Fethiye is an important export part of this mineral in Turkey.